Los Angeles-based maker and designer Robert Mahar specializes in unique do-it-yourself crafts inspired by vintage styles and classic techniques. His incredible work earned him the Academy of Handmade 2016 Master Maker designation and this year’s awards show will be adorned with himmeli mobiles using the methods he taught in his Simple Himmeli Mobiles class. 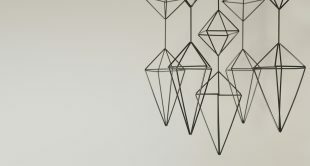 The stylish octahedrons that form the basis of the mobiles are inspired by the decor used in Swedish homes. 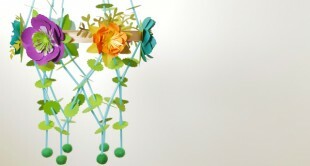 The mobiles can be used as standalone decorations or to hold hanging plants. 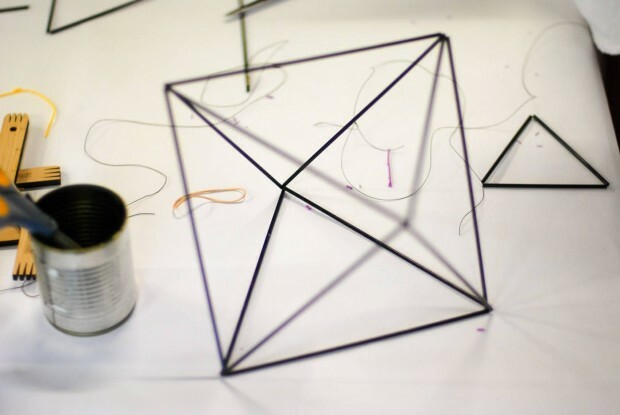 Each himmeli is made up of a series of octahedrons, each made from straws. 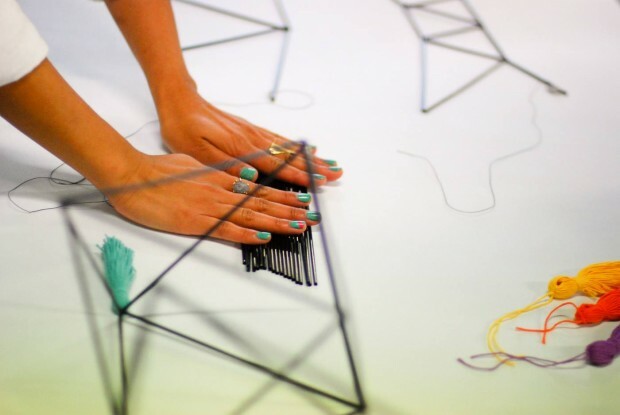 To make your own DIY mobile, follow the step-by-step instructions. 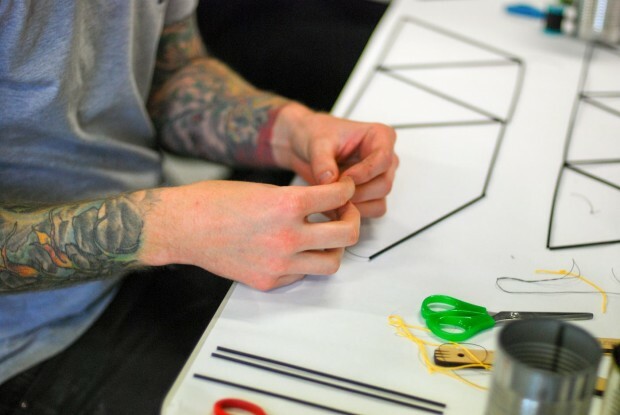 The Academy of Handmade provided photos from their himmeli making party to help you along. 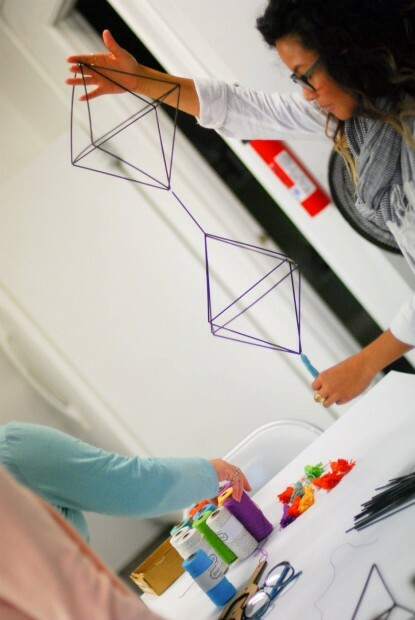 Once you’ve gathered your supplies, follow Robert Maher’s instructions on putting the straws together to form the perfect Octahedron. Step one. Measure and cut five feet of craft thread. Slip the thread through three straws and center them on the string. Step two. Orient the three straws into a triangle shape, making sure one end has a tail that is at least two inches long. The other side will have a much longer tail. Tie the thread into a simple double knot at the top of the triangle. Step three. Feed two additional straws onto the long thread. Lay it down so that the point of the triangle is facing away, with the two additional straws and thread branching out to the right. Step four. Bring the straw to the furthest right down until its tip touches the lower right corner of the triangle. This will create a second triangle. Loop the long end of the thread through the lower right corner of the original triangle to hold the new triangle in place. Pinch the bottom intersection of the two triangles between your thumb and forefinger, then weave the thread through the bottom of the new triangle again and hold it with your left hand. 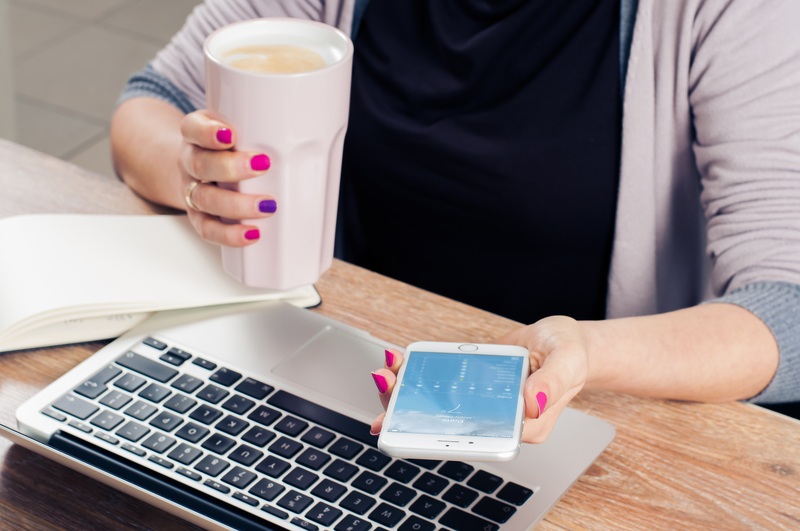 Using your right hand, create a loop with the thread outside the triangle and weave the thread inside the triangle through it to create a knot. This will hold the two triangles tightly together. Step five. Add two more straws to the long end of the thread and repeat step four, tying the end of the new triangle to the top of the second triangle. This creates three triangles, side by side, intersecting. Step six. Add two more straws to create a fourth triangle, using the above steps. Step seven. 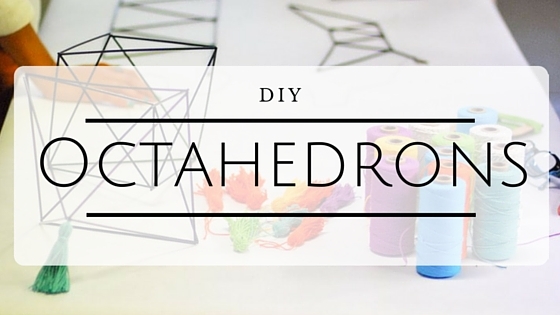 Complete the octahedron by adding two straws to create a fifth triangle. Step eight. Add the final straw to the long tail of the thread. Step nine. Connect the long tail to the two-inch short tail you left at the beginning. Tie a knot in the two threads at the end of the final straw. Trim off the excess thread. Step ten. Hold the structure up. There should be a pyramid form on the bottom, with two wing-tipped ends. Pull the ends together at the top to make an octahedron, then loop the remaining tail piece through and tie a double knot. 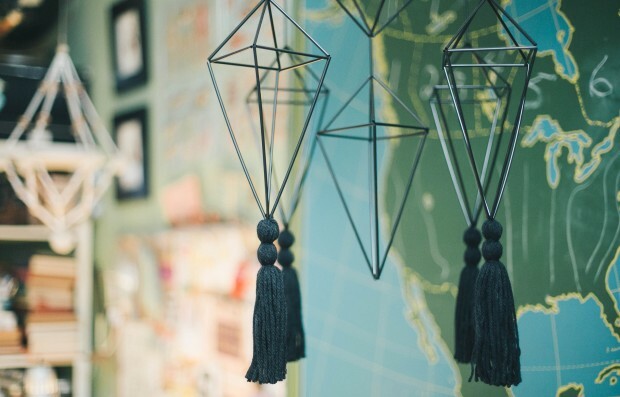 Ready to make your a DIY himmeli mobile? 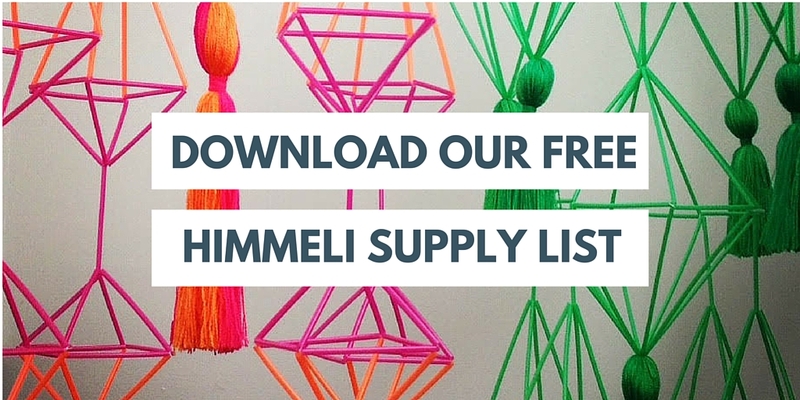 Download our free himmeli supply shopping list from Robert Mahar!